For those like e who don’t know how to play poker this find will put me ahead of the game quickly. 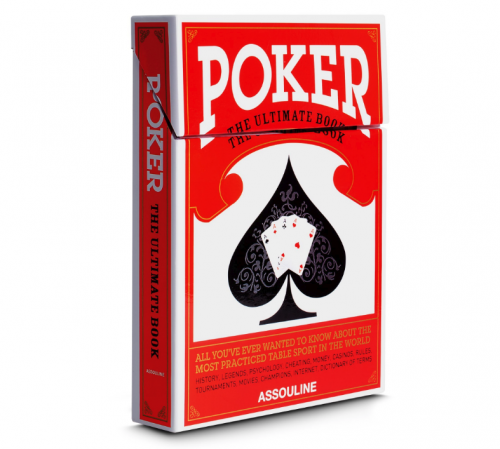 Here is “POKER: The Ultimate Book” everything you ever wanted to know about the most popular table sport in the world, including its history, legends, and psychology; the cheating, money, casinos, rules, and tournaments; movies and championships; the Internet; a dictionary of terms; and more. This reference book also provides a glimpse of pokerÕs history and legendary players, a detailed analysis of the basic rules, as well as the kind of astute tips that only an expert such as the author, a teacher and consultant to professional players, can provide. Go HERE and get your or for the father that love the sport for Fathers Day.